A fantastic first-home or investment beckons in this well presented home, where R3 zoning and a coveted corner position help define its instant appeal. Light-filled interiors flow over a relaxed and easycare single level, boasting two double bedrooms quietly set at the front of the home and living areas positioned toward the rear. 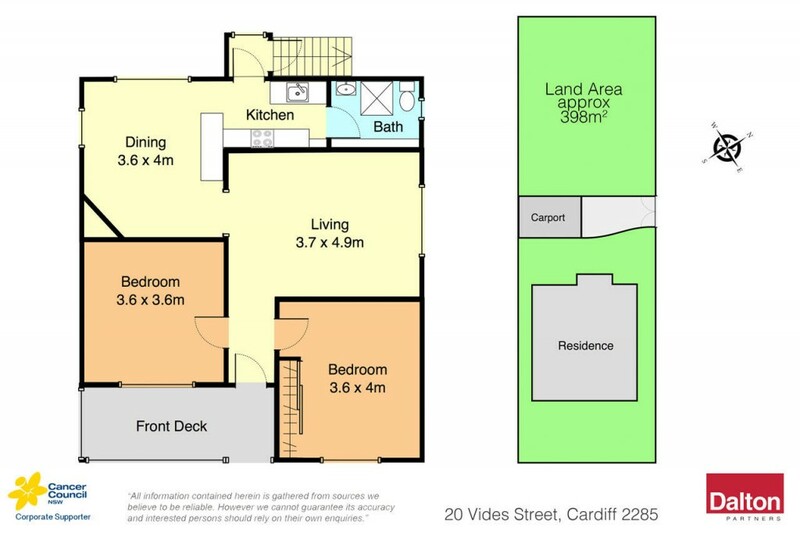 Also delivering a no-fuss yard with single carport and room to create an alfresco retreat if desired, it rests just 900m from Cardiff's lively town centre and its supermarkets, retail stores, eateries and train station. * Attractive weatherboard and tile home with great street appeal. * Two double bedrooms with carpet underfoot, robe to master. * Large central living room with plenty of natural light flooding in. * Dedicated dining area extends into a bright electric equipped kitchen. * Polished boards, picture rails and leadlight windows add charm. * Good-sized backyard offers a blank canvas for creatives. * An easy drive into Newcastle's CBD and famous surf beaches.